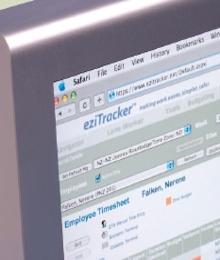 EziTracker® is a market leading workforce monitoring service used by Cleaning Companies, Facilities Management Providers and anyone who employs staff who work on their own at remote locations. The service uses the telephone network and data capture technology in order to provide management with real-time information on the whereabouts of their remote workforce. This enables improved management of remote workers, avoiding possible service breakdown and offering a crucial safeguard for the wellbeing of lone working staff. Staff simply dial a free-phone telephone number using a fixed line phone, key in their unique PIN, whereupon eziTracker™ will automatically capture the employee ID, site ID and attendance hours. Data can be accessed online by authorised managers in real time, at any hour, every day of the year. The system integrates with AMS Time-Minder.